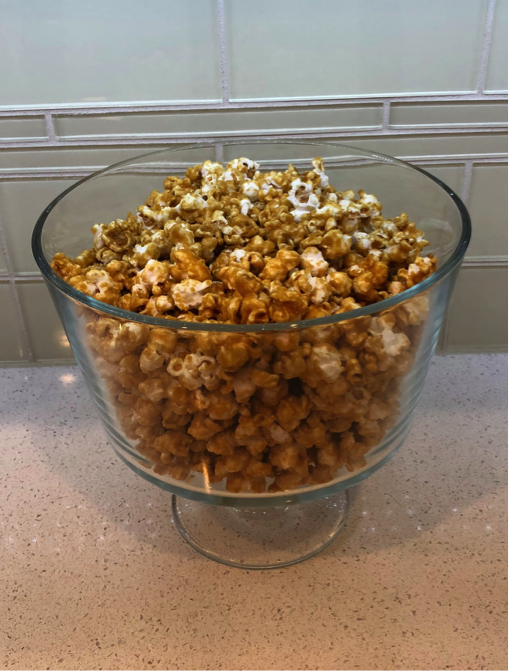 My mom made caramel corn every Christmas season and I have to say it was by far one of my favorite holiday treats. I remember making it with her for several years. It was so addictive that we would end up devouring it before Christmas even arrived. She got smart and started hiding it and it would make its grand re-appearance closer to Christmas. As we got older we realized what she was doing and I must confess, I started searching the house for it. (Did I mention it was addictive??) Well, I ended up finding her hiding spots and enjoyed every bite. I wanted to share the recipe with you all—it’s super easy and sooooo delicious. 1. You will need 6 quarts of freshly air popped popcorn. Set the popcorn aside in a roasting pan. 2. In a medium saucepan melt 1 cup of butter, 2 cups of brown sugar, ½ cup of light corn syrup and 1 teaspoon of salt. Bring to a boil, stirring constantly. 3. Boil without stirring for 5 minutes. 4. Remove from heat and stir in baking soda and vanilla. As you stir it in, it will puff up. 5. Pour this over the popcorn. Stir it throughout the popcorn as much as possible. 6. Bake at 250 degrees for 1 hour, stirring every 15 minutes. Remove from oven and cool. Break apart and store in a tightly covered container. Hide if necessary. Enjoy! Melt butter; add sugar, syrup and salt. Bring to a boil, stirring constantly. Boil without stirring for 5 minutes. Remove from heat and stir in vanilla and baking soda. 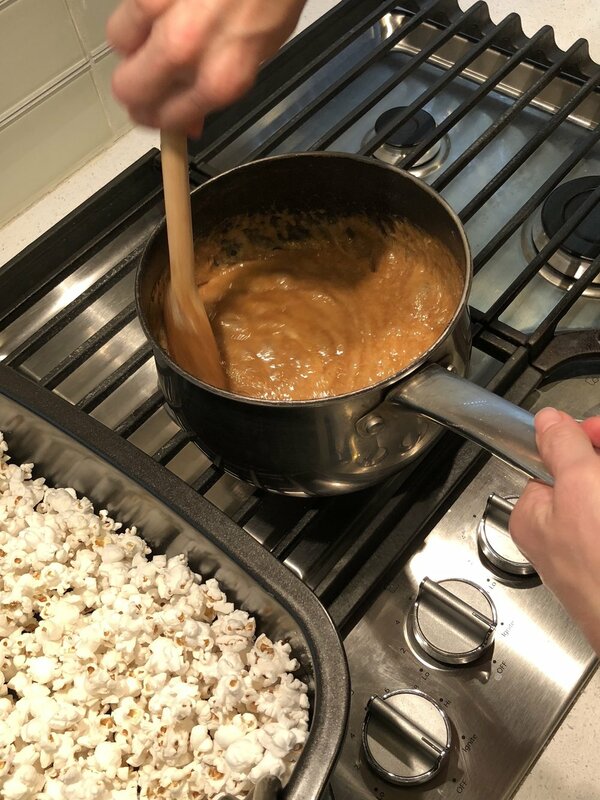 Pour over popcorn in a large roasting pan. Bake at 250 degrees for 1 hour, stirring every 15 minutes. Remove from the oven and cool. Break apart and store in tightly covered container. Posted on November 22, 2017 by Amy Zurowski and filed under Building Your Home and tagged recipes holidays.